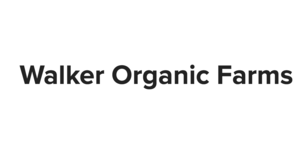 Walker Organic Farms is a third-generation farm celebrating its eighth year as a USDA Certified Organic farm. On their 67 cultivated acres, Walker Organic grows beets, carrots, greens, potatoes, beans and peas, squash, melons, Relinda’s famous sweet onions, and sweet corn. Relinda Walker and Darby Weaver believe in holistic ecological stewardship to grow more delicious and healthful vegetables. Their mission is to “bring as much vitality to the life of the landscape as we harvested from it.” They practice crop rotation and use summer and winter cover crops to protect the land. Walker Organic Farms also sells onion seedlings to gardeners and farmers and offers internships, school trips, and more to create an educated community.